Forming your business entity at VMGokea Law is not one size fits all and is never handled in a vacuum. If you wanted once size fits all, you could use a document drafting service or online legal document website. Before we form your entity, we get to know you, what’s important to you, what your business is going to do in the world and how you plan to exit it. We ask you questions that will inform the tax structure of your entity, how you own the entity and what happens to your business entity when you pass on (or you pass the company on to an new owner). How to set up your bank accounts, what type of insurance to get, which agreements you need immediately (and which can wait), which intellectual property to protect (and whether to own it in a separate entity from your operating assets), how much and what type of insurance you need, how to work with your CPA for max tax savings and more. so you can stay creative and expansive. 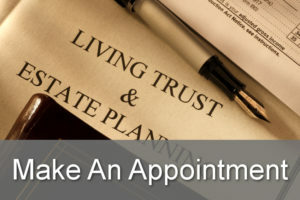 At most business planning law firms the relationship ends when you sign your incorporation documents. At VMGokea Law we see the signing of your incorporation documents as the beginning of our relationship with your business. To help you make sure your entity is maintained properly, we offer entity formation planning and maintenance programs. For more information about our unique programs, please contact us.